Home weddings, with all their family politics and high guest numbers, can sometimes feel really overwhelming to some brides and grooms. Destination weddings, on the other hand, are often the perfect alternative to what would otherwise be a stressful experience for this kind of couples. 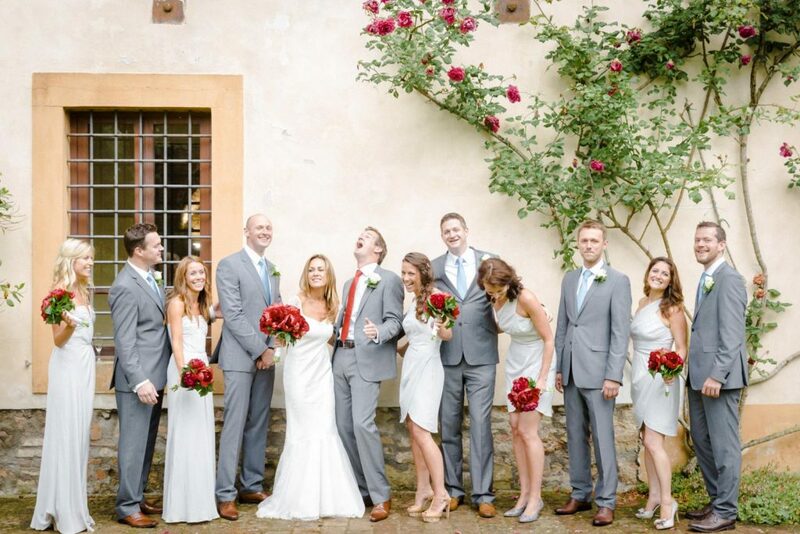 Getting married abroad is usually the choice of brides and grooms that are focused more on gifting their friends and families with a fun experience abroad, than solely on the wedding day. They choose charming landscapes and different cultures because they love traveling and they know their family and friends love it too. In some cases, it’s the perfect compromise between a big home wedding and an elopement. Intimate, fun and relaxed are more often than not the three words that our clients use to describe their destination wedding. As informal as their destination wedding weekend will be, however, there are still a few things destination couples should bear in mind to ensure that the experience is as enjoyable as possible. In this post we’re sharing with you our UKAWP destination planners’ insights – years of experience condensed in a few pearls of wisdom. 1. What is a common task/thing that couples forget with destination weddings? 2. Should you pay for guests flights and accommodation? One of the most popular conundrums of destination weddings – should we or shouldn’t we cover our guests’ travel expenses? Yes, you’ve read that right: you may need to reconsider your options. Don’t forget that any guests with children in school age will not be able to attend your wedding unless you do it during school holidays. And, of course, with that being the case, the cost of your travel will go right up too, as school holidays are usually in high season. Equally, bear in mind that if you choose to have a child-free wedding, some of your guests might not be able to arrange childcare for 2 to 3 nights. If the presence of certain guests is essential to you, and getting married abroad makes it impossible for them to attend, don’t overlook this aspect. 3. On a similar note, should you arrange entertainment before and after the wedding day? But don’t feel the pressure to pay for everything. Everyone needs to eat, of course, and most probably your guests thought about having a meal together somewhere, so no one is expecting you to pay for their meals beyond the wedding day itself. If budget doesn’t stretch, you can always take on the organisation of either a lovely dinner in a local restaurant, or a relaxed bbq or buffet style reception at your venue. The key is to keep it simple and pressure-free, and ideally not extortionately expensive, so that everyone feels comfortable with paying for it. In mediterranean countries, for instance, a pizza party can start from €25 pp and a meat BBQ from €45. If you feel your guests would be comfortable with this sort of figures, that it is okay to ask them to contribute towards it. The main thing is to keep your guests together and organise experiences that you know they’ll all enjoy, whether you’re paying for it or not. 4. Should you send paper invitations or evites? Wedding planners are a bit biased when it comes to this topic. The truth is – we love paper stationery because we feel it brings out your theme / style beautifully, and of course we love pictures of your wedding details. 5. Is it cheaper to fly in UK suppliers compared to local ones? We’re sorry to disappoint you, but the answer is yes and, you guessed it… no. At times it is, at times it isn’t. Here’s is the deal: there are times when photographers, regardless of calibre, want to build portfolio in certain countries. For that reason they make themselves available to a planner for a reduced rate (or choose to include their travel in their fee). Is it fair on the local suppliers? It depends. We believe that slashing prices is unfair on the competition and we support photographers and suppliers that charge their worth, so we always try to encourage them to tweak the service rather than discounting their prices. For instance, instead of a 10 hours package, a photographer might choose to reduce the number of hours and therefore the number of images being delivered, so that they can slightly reduce the cost. In some cases a photographer might choose to reduce the cost of the service by removing the pre-wedding shoot with the couple. When this happens, you can at times find that bringing a supplier in from the UK or whatever country you are in, works out cheaper. The key is: you need to pick a supplier not just based on budget, but on affinity too. Sometimes it’s worth going the extra mile for the right supplier, be it local or international, because you feel perfectly aligned on budget, personality and style. 6. How do you handle time differences / language barriers? We hope this is useful! 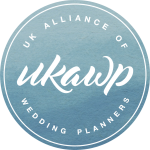 If you need more advice on your destination wedding or are considering hiring a destination wedding planner, visit our Destination Directory here: www.ukawp.com/destination-planners/ or get in touch with any of the planners mentioned above. Images by our UKAWP supplier member Phil Drinkwater.